Tank In A Box | Superior Tank Co.
Is a ‘Tank in a Box’ Right For Your Next Project? 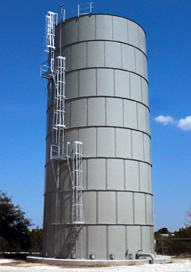 Bolted steel water storage tanks are nothing new and have been used for decades with great levels of success. These tanks are sometimes referred to as a “Tank in a Box” due to the modular design of bolted steel tanks, which allows them to be packed and easily shipped anywhere in the world. Commonly, tanks are shipped via truck or standard shipping container. Tank kits come complete with hardware and fittings, and are ready to erect upon arrival. When properly designed, manufactured and installed, a “Tank in a Box” meets a wide variety of applications. The unique modular “Tank in a Box” design is based on the use of individual heavy gauge steel plates, which are used to form the tanks. These plates are prefabricated in dedicated facilities using a variety of specialized equipment such as press breaks, robotic welding arms, drill presses and coating machinery. The final finish is applied to all tank components before they are packed for shipping. The components are precision-manufactured for longevity and a well-crafted bolted steel tank can provide over 60 years of service. Once on site the tanks quickly bolt together with minimum site work. 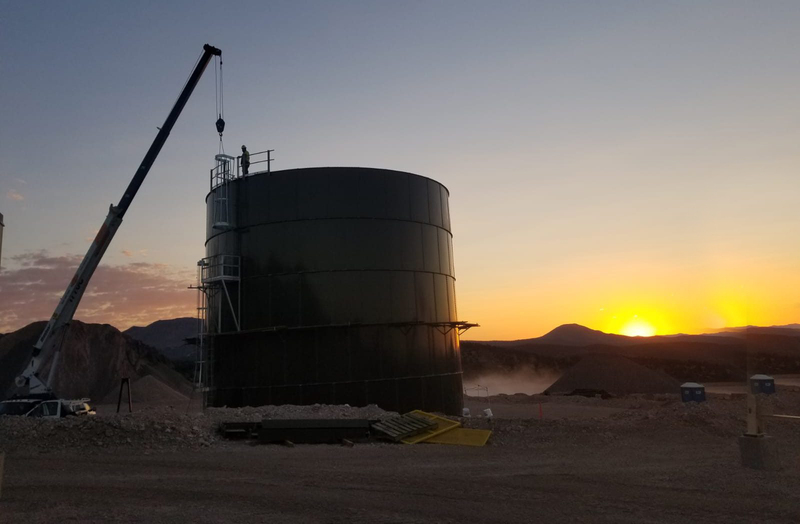 The erection time of a bolted tank can be as little as 1/3 of the time required to construct a similar size welded tank. In addition, the plates arrive to the job site complete with final finish already applied, eliminating the need to sandblast and paint on site. As the tanks only need to be assembled, they can be erected in various weather conditions and are resistant to adverse weather delays.